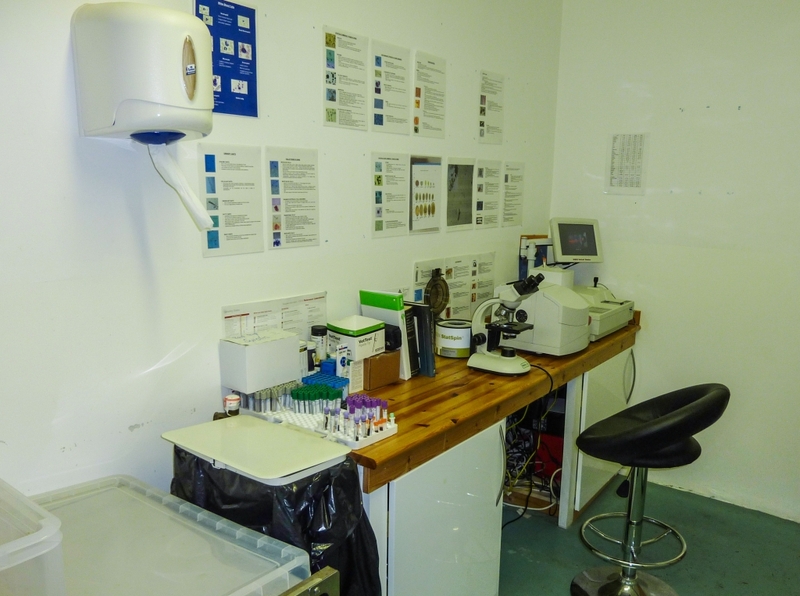 Our farm animal consult room is accessible from our reception area – it offers a quiet, private environment to discuss your business confidentially with our vets. 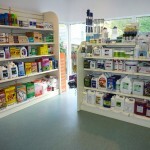 Our farm animal retail area has a large stock of useful medical equipment, large animal medicines, and anti-parasitic dosing. 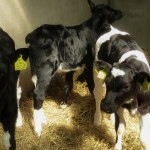 We also carry a stock of large animal vaccinations which are not on display – this is because they need to be kept fresh in a temperature controlled environment. 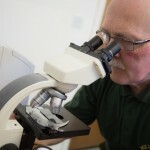 If you have any queries about our stock, or need advice on suitable worming and vaccination programmes, our support staff and vets will be delighted to assist you. 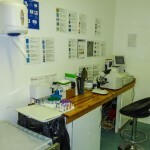 Our in-house laboratory has the latest diagnostic equipment.We carry outroutine Faecal Egg Counts (FEC)for worm and fluke and also identify coccidiosis. 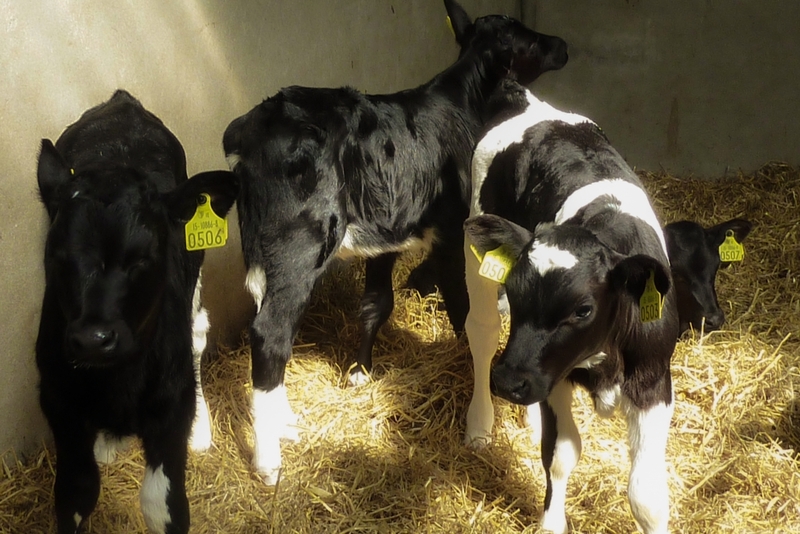 We also routinely undertake calf scour sample analysis and urinalysis. 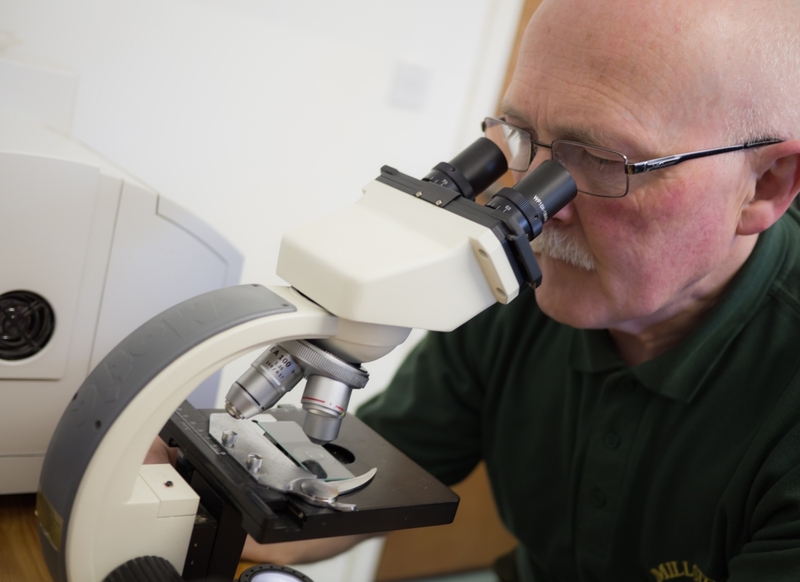 Having the luxury of an in-house laboratory means that any samples can be dealt with promptly, and the results discussed with you without delay. 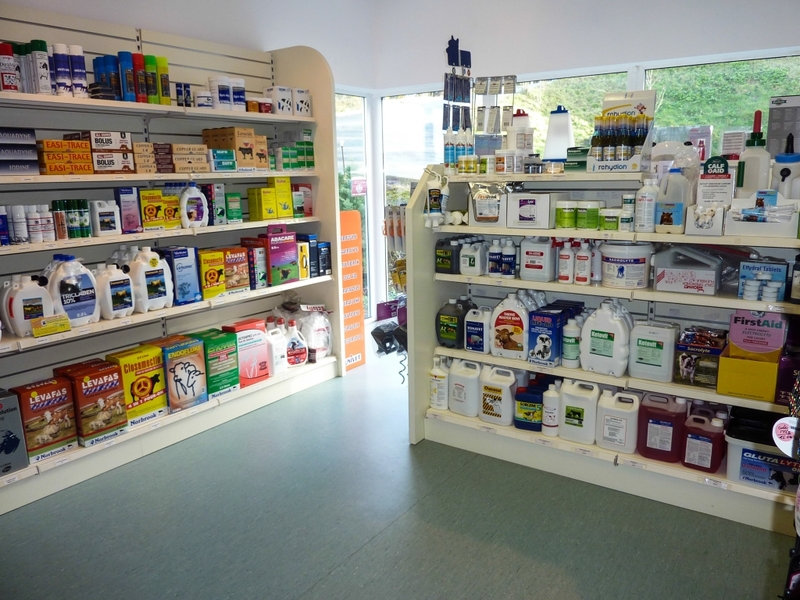 Our pharmacy is kept well stocked with a wide variety of large and small animal medicines, meaning that when we need something quickly, its always close to hand.